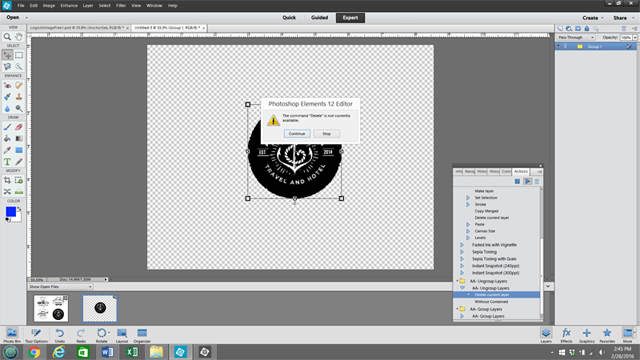 I am using PSE 12 and loaded a psd file but am receiving the message, "Non-Editable Adjustment". Is there a way to open this file? Will you please give us more details on this PSD file? Is this a file with Layer Groups (Layer Sets)? Layer Groups will contain a little folder icon. If so, this may explain why you are getting this message. Elements cannot open Layer Groups for you to edit them. Only Photoshop can. If is this indeed what is happening, I can post back with an action (.atn) file which will enable Elements to open Layer Groups so that you can edit/adjust these layers. It is a file with Layer Groups/Sets. OK. 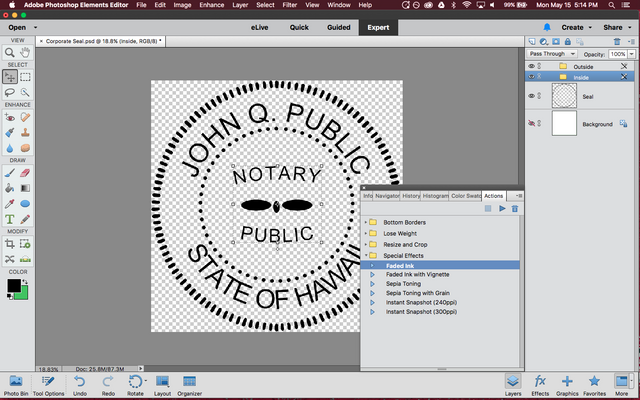 The action file you need to open Layer Groups in Elements is available in this post -- www.photoshopelementsandmore.com/post/13769. Is it possible to upload a screen print so that you can see what I am looking at? If yes, not sure how to do this. First, make sure the Layer Group you want to open is activated in the Layers panel. Then, in the Actions panel . . .
1. 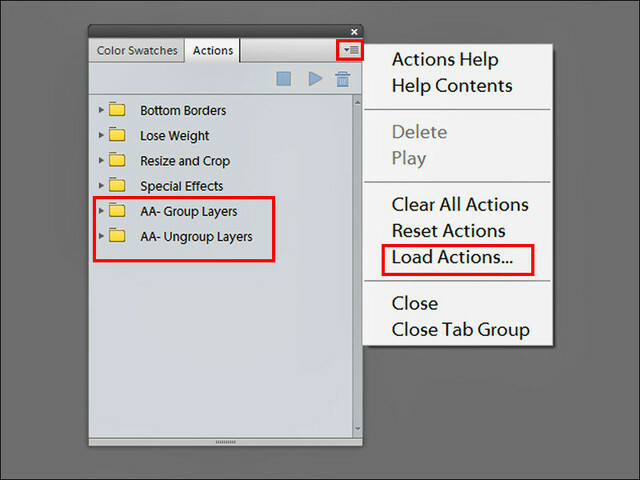 Click on the little arrow to the left of the yellow "AA - Ungroup Layers" folder. This will bring up its contents. 2. "AA - Ungroup Layers" will be highlighted. Click on the Play button to run the action. 3. Check the Layers panel. The Layer Group is now open, displaying the layers inside it. 1. 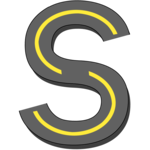 The image uploaded shows that there is only one Layer available and it is highlighted. 6. Receive message (shown in imaged previously uploaded): "The command "Delete" is not currently available. Options are "Continue" or "Stop"
7. Clicked "Continue" and nothing happened. Receive message (shown in imaged previously uploaded): "The command "Delete" is not currently available. Options are "Continue" or "Stop"
I have seen this message when one is trying to open a Layer Group which is a background layer (locked). Drag the layer's padlock to the Trash can to unlock it and run the action. Now it should work. I had copied only this layer from another file and not the background layer. I had previously tried to unlock it but the trash can was greyed out. Long story...but it is working now. Thanks so much for sharing your AWESOME PSE skills with me and so many others!! kme, you are most welcome! Glad to hear "Success!!!". I knew you would get it to work. Hi, andjosaus, welcome to PSE&M! Your screen shot shows the Actions panel with the built-in actions in Elements. The action being discussed in this thread is a third-party one; such an action needs to be loaded into the Actions panel. Go to this post, download the .zip file, and extract the two .atn files. They are: AA-Group Layers.atn and AA-Ungroup Layers.atn. Now proceed with loading these two .atn files into the Actions panel. 2. Click on the four-lined square in the upper right corner of the Actions panel and select Load Actions. 4. Click on the Play button in the panel’s upper right corner to run the action. Thanks Sepiana! Problem solved! Very much appreciated! andjosaus, you are most welcome! Really pleased to hear the problem was solved. Great news!